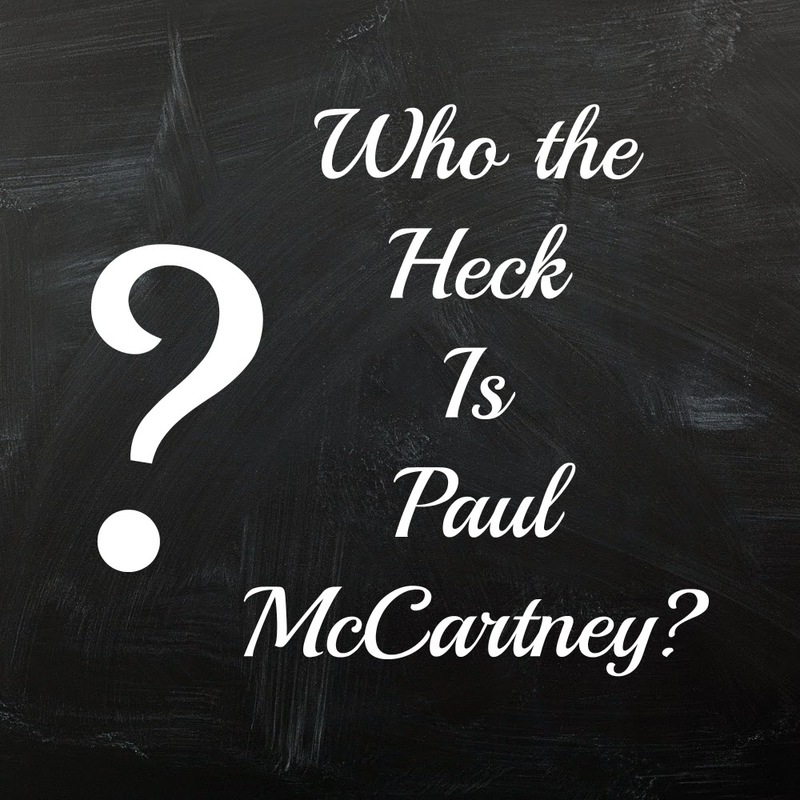 Who the Heck is Paul McCartney? Pardon me... I need to Vent! I am beginning to think that there is something inherently wrong with our latest generation. Recently, Sir Paul McCartney collaborated on a song, "Only One" with Kanye West. Many of Kanye's fans took to Twitter to find out who the "unknown" artist is on the track and even credited Kanye with helping McCartney acquire fame. "Who is Paul McCartney? Why do people love him?" "Paul McCartney is obviously using Kanye for fame," she added. "I don't know who Paul McCartney is, but Kanye is going to give this man a career w/ this new song!!" At first I thought the whole 'Who is Paul McCartney' thing was a hoax. A stupid hoax, but still a hoax. And I worry about Sir Paul's senility. After all, he's the one that made the choice to pair up with that d-bag (and I'm not talking dimes here) Kanye (don't even get me started on my thoughts here!). Then came the Grammy's. On stage was Kanye, Rihanna, and Sir Paul McCartney. It seemed there was a little *ahem* audio trouble and Sir Paul's mic was not plugged in. The day after the Grammy's, a friend of mine was at the salon getting her hair done. One of the girls commented about the Grammy's "Wasn't it nice of Kanye and Rihanna to let that old man on stage with them?" Seriously? Granted they may not know about Paul McCartney and Wings, but who on this planet has not heard of the Beatles? You know, the group that has been the inspiration for just about every other band since? But now that I reflect upon this, ever since I started this blog, I'd get comments on well-known artists stating how they had never heard of such and such individual. But to not know who Paul McCartney is? That's a sin against music. 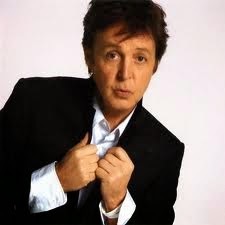 So let me take this opportunity to introduce you to Sir Paul McCartney. McCartney has been recognised as one of the most successful composers and performers of all time, with 60 gold discs and sales of over 100 million albums and 100 million singles of his work with the Beatles and as a solo artist. More than 2,200 artists have covered his Beatles song "Yesterday", more than any other copyrighted song in history. Wings' 1977 release "Mull of Kintyre" is one of the all-time best-selling singles in the UK. As of 2014 he has sold more than 15.5 million RIAA-certified units in the United States. McCartney, Lennon, Harrison and Starr received MBEs (Member of the Order of the British Empire) in 1965, and in 1997, McCartney was knighted for his services to music. 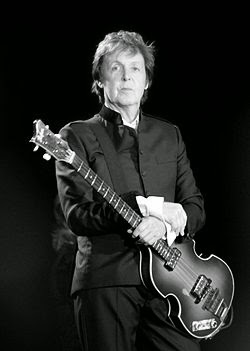 McCartney has released an extensive catalogue of songs as a solo artist and has composed classical and electronic music. He has married three times and is the father of five children. Who the heck is Paul McCartney? Indeed. If you want to know more, Google it.